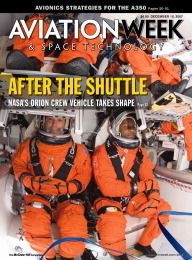 Bummer for America's astronaut corps: They'll get a downgrade to economy class when NASA begins flying its next-generation spacecraft to the International Space Station and (eventually) the moon. Oh sure, Orion has more than twice as much interior volume as Apollo, but that's not saying much. 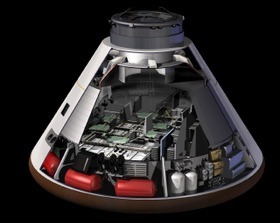 It's still just a capsule, and NASA plans to stuff as many as six spacesuit-clad astronauts inside for rides to the ISS, and four for week-long trips to the moon. It will be a tight fit. The first thing you notice is how small it is inside—more spacious than Apollo, they say, but tighter than the shuttle. After watching gangs of astronauts doing back flips in the pressurized modules on the International Space Station, the Orion Crew Exploration Vehicle mockup here seems cramped and even claustrophobic. Making the most of the 5-meter (16.4-ft.)-wide Orion cockpit—the exact habitable volume remains in flux—is getting a lot of attention in the Space Vehicle Mockup Facility [at the Johnson Space Center]. Morin’s group is using low-fidelity seats, spacesuits and equipment lockers to figure out how to squeeze as many as six astronauts inside and keep them relatively happy until they get to the ISS, Orion’s first destination. The simulations begin on the launch pad, where astronauts stacked like cordwood might one day have to get out quickly in an emergency through a single hatch. 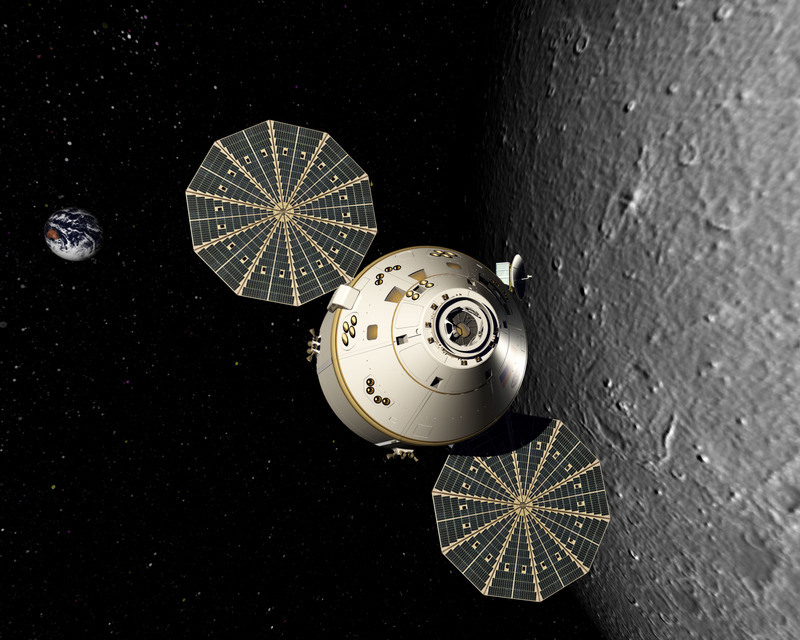 Right now the thinking is to develop an airbag kit that will allow Orion capsules to be tailored for specific missions. Most lunar missions would return to a water landing near San Clemente Island off the coast of Southern California. Missions to the ISS would land at Edwards AFB, Calif., or some other spacious military reservation in the western U.S., using the bolt-on airbag kit to attenuate the impact. 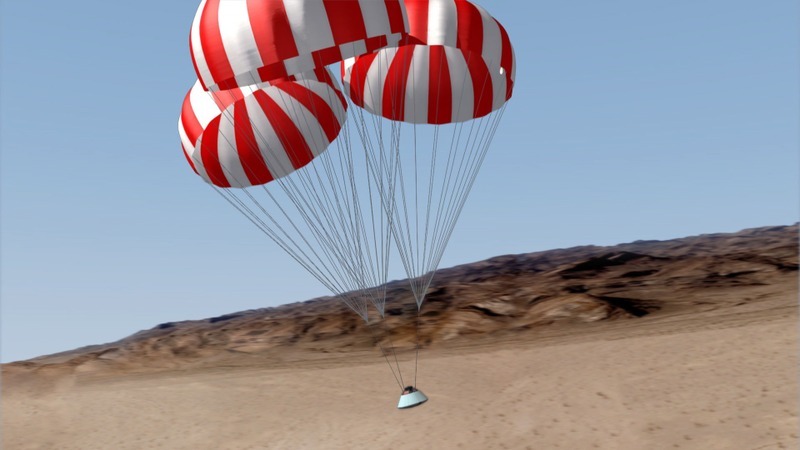 It's a safe bet that Orion passengers won't be sipping champagne or munching on canapés in preparation for landing. And that raises a fair question: What kind of a giant leap for mankind is this, anyway? We have seen the future, and alas, it looks a lot like a zero-g version of flying coach from LaGuardia to Chicago. Burt Rutan's White Knight is "like flying inside a giant whiffle ball"